The Altinex Muse HDMI+Power+IR Transmitter and Receiver will change the way integrators approach AV systems. According to the company, the product will soon be available to integrators. With the ability to power a display with up to 150 watts of power and carry HDMI, RS-232, and IR control signals up to 300 feet (90 m) over a single, low voltage, unshielded CAT-6 cable, Muse enables AV Integrators to eliminate the worry of electrical outlet placement—providing AV installers full control over their projects. Muse consists of the MU400-111 transmitter and the MU500-112 receiver. The output of the MU400-111 transmitter is monitored for power consumption and when power is exceeded, the output is turned off to protect the system. Muse is designed to withstand direct shorts both on the low voltage side and high voltage side. The current consumption is monitored continually and output is disabled if an overload or short is detected. 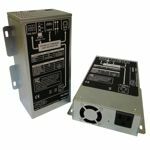 The MU400-111 transmitter has a durable metal enclosure with a built-in temperature controlled cooling fan to provide years of trouble-free operation. The Altinex Muse HDMI+Power+RS-232+IR Transmitter and Receiver are fully compliant with HDMI and HDCP standards and is UL 60950 Listed. The Altinex Muse HDMI+Power+RS-232+IR Transmitter and Receiver are fully compliant with HDMI and HDCP standards and is pending safety approval. Muse is now available. Suggested MSRP for the MU400-111 transmitter and the MU500-112 receiver (one pair): $1,495. Tiered pricing available.